subrealic.net - The World's Shortest Video! 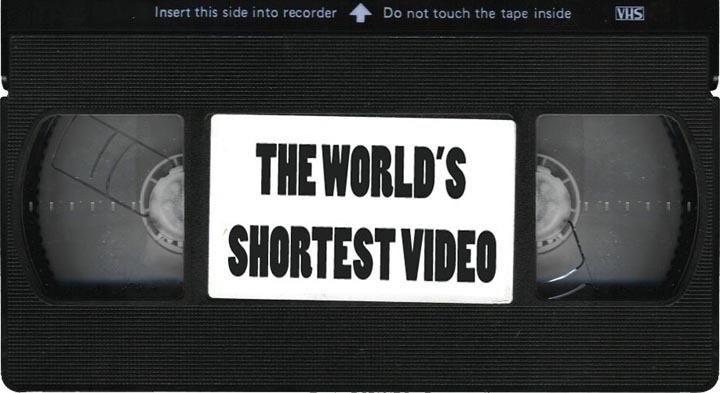 This film is supposed to be the shortest video ever. It has a beginning, an end and a total duration of only one frame. How is that possible? Every video frame is divided into two half pictures! Insert the tape! Press Play! For technical reasons there will be some black Tape in the beginning and in the end. The VHS-Player rewinds automatically when it reaches the end of the tape after a view seconds. Eject!